A household name in pet care, Nestlé Purina pet foods, treats and litter products have been trusted by dog and cat owners for more than 90 years and can be found in nearly three fourths of all pet households. Purina employs more than 7,500 associates in the U.S. and about 400 in Georgia. In September 2017, Nestlé Purina announced a new, $320 million pet food facility in Hartwell that will create approximately 240 jobs by 2023. Distribution center operations began in 2018 and production of pet food will start in 2019. We plan to produce popular products like Fancy Feast and Elegant Medleys at the Hartwell factory. Later this year we will start pet food production so there is a lot of activity happening to transform the facility from the former textile manufacturing plant into what we need to make high-quality pet food, build a great workplace for our new employees and ensure we are operating in a way that benefits the community and the environment. We are very excited to welcome 80 new associates to the team at the end of February. These new hires will help us as we start to approach pet food production later this year. We also will be opening our new employee office building and facilities in the next couple of months. This building will include a patio and dog park, so employees who work in the offices on the site can bring their pets to work. Finally, we have started to construct an additional building this month that will house one of the pet food cooking kitchens and packaging areas. As a result, you will notice increased construction activity. Q: What are you doing to address increased truck traffic? A: As we have more employees traveling to the site and increased construction, it does increase the amount of vehicle traffic. Please be aware of this increase and expect some delays and/or consider alternate routes during busy, commute hours like morning and early evening. We are working to ensure the safety of employees and options to help alleviate congestion where possible. We appreciate your patience during this busy time at the facility. Q. What will the factory operations entail? A: At Purina we’re committed to making high-quality and nutritious products for dogs and cats, and an incredible amount of care goes into these products. Our network of 500+ Purina scientists globally are working on innovations and developing complete and balanced pet food formulas with science-backed nutrition. Here in Hartwell, and at all of our factories, we start with quality ingredients like meat, grains, vitamins and minerals, and even fruits and vegetables. Our products are formulated to meet specific nutrient targets. Once we receive the ingredients, we batch, mix and prepare them according to the recipes developed by our nutritionists. We then transfer the product to cans and into our thermal cooking process. The cans are then labeled and shipped out to retailers. Each step of the process is underscored by strict quality controls. Q: What types of people are you looking to hire? A: While we have a range of positions available, requirements start at 6 months of experience in a manufacturing, production, agriculture, warehouse or a military environment, and we are looking for individuals who bring diversity to the team and challenge our ways of thinking. Individuals must have a safety-first mindset—it is our first priority that our associates go home to their families every night the way they came in that morning. Our first phase of hiring is nearly complete with a few salaried positions still open. We have plans for the second phase to begin in mid-2019. Interested applicants can visit www.NestlePurinaCareers.com to find job postings. Read more about our Hartwell facility here. Q: Will I notice any aroma from the factory’s food-making operations? A: When pet food production begins, we will be making a variety of dog and cat food brands. As with any cooking operation, whether it is food being made for you to feed your family or feed your pet, there can be aromas associated with our process. Our pet foods contain ingredients that contribute to the overall aroma of the food, similar to when you cook food for your family at home. At our facilities, we do our best to keep these aromas contained on site and incorporate odor mitigation technology when needed. Because there are many factors involved, such as topography, weather patterns and other local conditions, we take all of these into account in our odor mitigation planning. At this time, we are not producing pet food so there should not be production odors. At the Hartwell factory, we will be installing industry-leading odor mitigation systems that are in the process of being prepared for installation now. We plan for these to be in place when we begin pet food production in 2019. 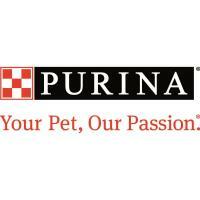 While these systems require substantial investment, being a good neighbor is very important to Purina. Because no system is perfect, we want to keep an open dialogue with our neighbors so we can get your feedback and address it wherever possible. Q: What is Purina doing to be environmentally friendly in Hartwell? A: Purina is committed to operating in an environmentally-friendly way that protects the natural resources that make our community a great place to live, work and play. Lake Hartwell is a beautiful community asset, and much of our work in sustainability is dedicated to caring for water and protecting our water resources. The City of Hartwell and Hart County have been vital partners as we design water treatment systems and ways to protect the watershed around our site. Our commitment to efficient and sustainable operations includes projects to recycle cooling water, recover energy, find sources of renewable electricity, and minimize the amount of waste we generate. We partner with businesses whose mission is to beneficially reuse waste, which will enable us to achieve ‘zero waste’ status at our facility.